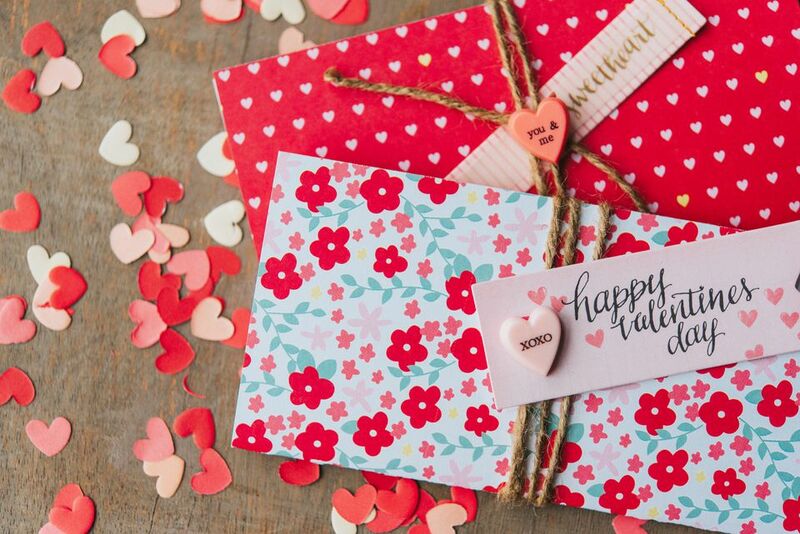 Whether you need a card for your significant other, galentine, or family member, these DIY Valentine's Day card ideas range from funny to flirty, so there's one fit for everybody in your life. 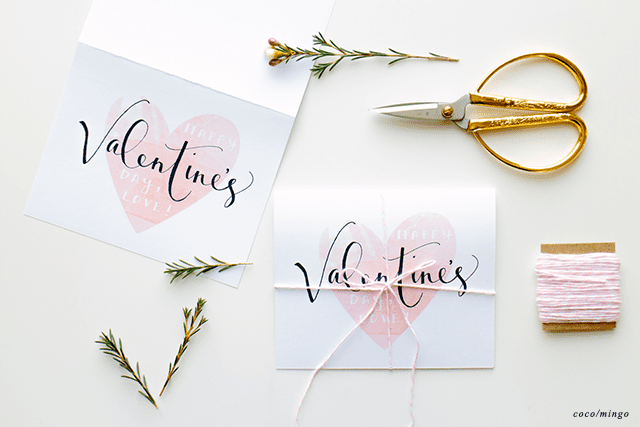 Elegant and simple, these free printable Valentine's cards are a great gift for your significant other. Package them up with pretty twine like this crafter did for a unique finishing touch. Print a copy of this super cute red and black 4x6" watercolor card with a painted heart gem. This heart shaker card is so much fun, as you can shake the card and see the confetti hearts flutter around on the front of the card. To make your own heart shaker card you will need to use a mini heart punch to create heart confetti and create a clear pocket on the front of the card using acetate. Give your sweetie a photograph card of tropical leaves that says "you're my person", or if you prefer there are also photograph cards that say "I like you, no like a lot" and "you're a real cutie" with a floral background which all can be printed onto white cardstock. If you are looking for a modern and stylish card this Valentine's Day the "I think you're awesome" card from That's Pretty Ace is available in black or white for you to print and mail. The pink and orange script on Maiko Nagao's "you're so freakin' awesome" printable card is sure to make your boyfriend or girlfriend's​ heart melt. Unwilling to commit to anything serious? If so perhaps the "you'll do, where is the chocolate" card by Mmmcrafts might be exactly the card you need to express your Valentine's Day expectations this year. Go classic by sending someone this printable red Valentine's Day card by Creative Chicago and a dozen red roses to show them your love. Make your husband or wife laugh with a DIY card that says "true love never having to say a word because we are both staring at our phones". This beautiful calligraphy printable card by Coco And Mingo with a quote from Maya Angelou is sure to warm anyone's heart this Valentine's Day. Give cross-stitch a try with this easy to make stitched hearts card. To make your own print the template from Dandee Designs and stitch thread through all the marked dots to create a bunch of Xs using thread that forms two hearts. Grab a copy of this modern free printable mini "you're a gem" card from Lovely Indeed to send to your friends this Valentine's Day. This heart card is super easy to make just strips of decorative washi tape on the front of a blank card to form a heard as demonstrated by Northstory. Get crafty this Valentine's Day by making a card covered in 3D paper hearts on the cover that is suitable to give to anyone from the love of your life, your mother, or even that hot barista at the coffee shop. Learn how to make your own 3D heart card by reading the full DIY guide by The Creative Place. Does your husband hate overly romantic cards? If so perhaps he might like this cheeky "you're pretty much my favorite husband" printable card by Landeelu.